It’s official! 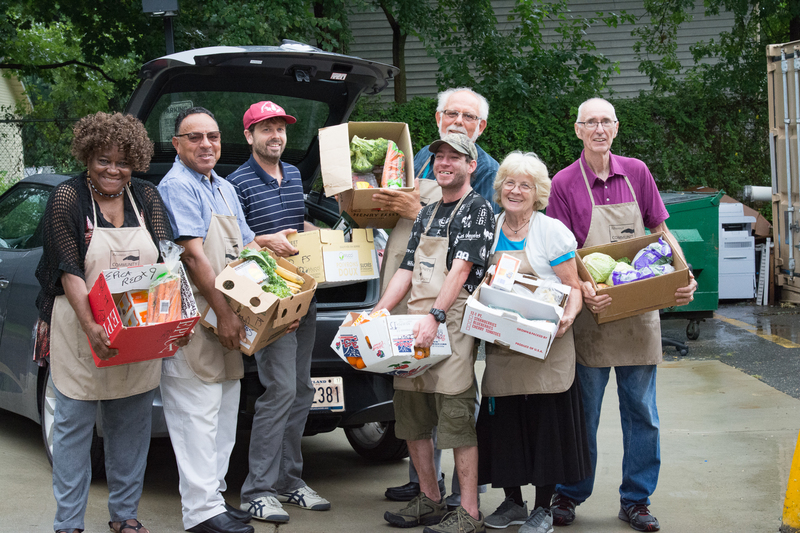 This spring, Community Food Rescue (CFR) rescued and distributed our five millionth pound of food, the equivalent of 4.1 million meals to people who are experiencing hunger. In addition, CFR food recipient organizations that have surplus food that they cannot use have also used our ChowMatch app to redistribute the food to other CFR network members. An additional 59,433 lbs. of food (representing 50,000 meals) has been redistributed to people who are food insecure. Since our launch in September 2015, the CFR network of food donor businesses, non-profit food recipient organizations, and volunteer food runners has grown to 373 members throughout Montgomery County. As we’ve grown in numbers, the network has also expanded the kinds of food we are able to rescue. 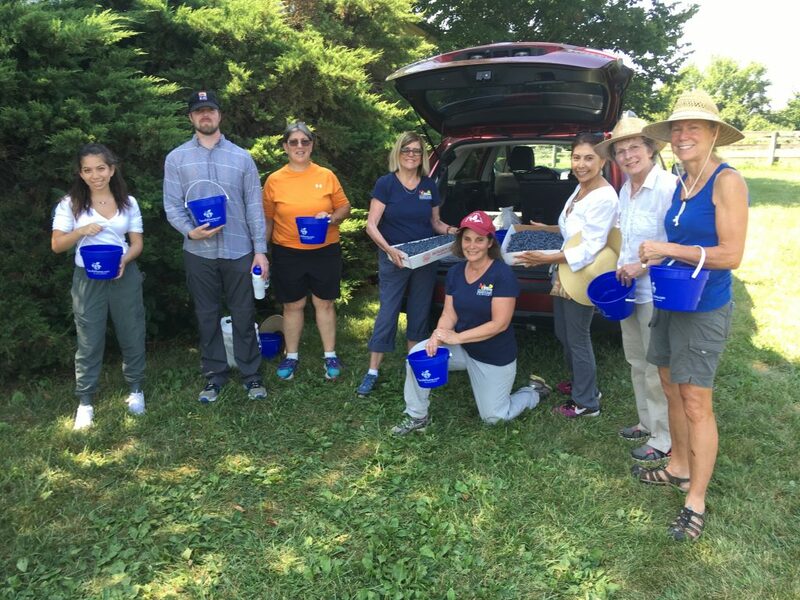 Last summer we started gleaning fruit and vegetables from local farms in partnership with Montgomery County Master Gardeners and the Maryland Extension. CFR gleans at local farms to rescue delicious produce that would otherwise be left in the field. We gathered everything from strawberries and blueberries to sweet potato greens and apples that were no longer commercially viable. These delicious foods from Butler’s Orchards and Red Wiggler Community Farm were much appreciated by CFR recipient organizations, including Shepherd’s Table, Sally K. Ride and Washington Elementary Schools. If you’d like to volunteer at a gleaning session or know a farm that offers gleaning to groups, contact: communityfoodrescueoutreach@mannafood.org. CFR has also started cooking with recovered food to use bruised, wilted, or misshapen food that is better cooked rather than eaten fresh. 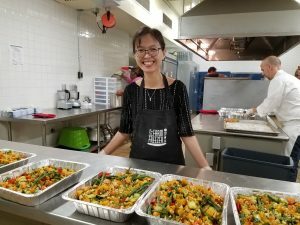 Thanks to Manna Food Center’s partnership with the Silver Spring United Methodist Church, we used the church’s newly refurbished commercial kitchen that is designated for social mission purposes. In last year’s pilot project, we invited guest chefs from Marriott International and volunteers from KindWorks to help. CFR Cooks! prepares meals from food best eaten cooked to extend its shelf life. During nine three-hour cooking sessions, we turned 2,160 lbs. of meat, vegetables, fruit and staple foods into 1,700 tasty entrees, soups, salads, side dishes and fruit crisps. 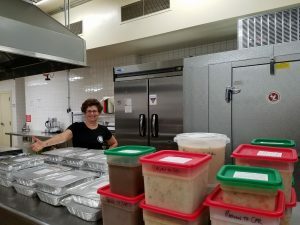 These meals were very much appreciated and needed by non-profit shelters that serve meals but do not have kitchen facilities for cooking. The chefs enjoyed the challenge of menu planning with what was available; volunteers loved learning cooking techniques from professional chefs, and shelter clients found the restaurant-quality meals delicious! We are scaling up our CFR Cooks! project to once a week. 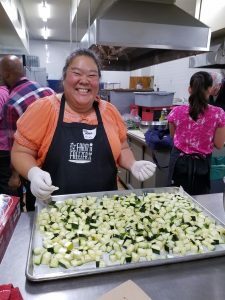 If you’d like to volunteer for our weekly cooking sessions, visit www.dokindworks.org for more information and to sign up. These food recovery activities help not only those who are food insecure, but also our planet. By not wasting food on the farm, we also are eliminating the waste of water and energy used to grow that food. By reducing the amount of food waste entering our landfill, currently 147,000 tons per year in Montgomery County, we save on greenhouse gas emissions. CFR’s ChowMatch tool, used to match food donor businesses with food recipient organizations, also calculates the environmental benefits of the network’s accumulated recovered food. ChowMatch calculates the environmental benefits of rescued food. The net greenhouse gas emissions benefit from CFR’s food recovery thus far is 5,391 metric tons of carbon dioxide, equivalent to 1,154 vehicles removed from the road for a year, or 13.2 million miles not driven by one passenger vehicle. Whether tracking greenhouse gas emissions or tasty meals, it’s clear that feeding more and wasting less is good for people and the planet.